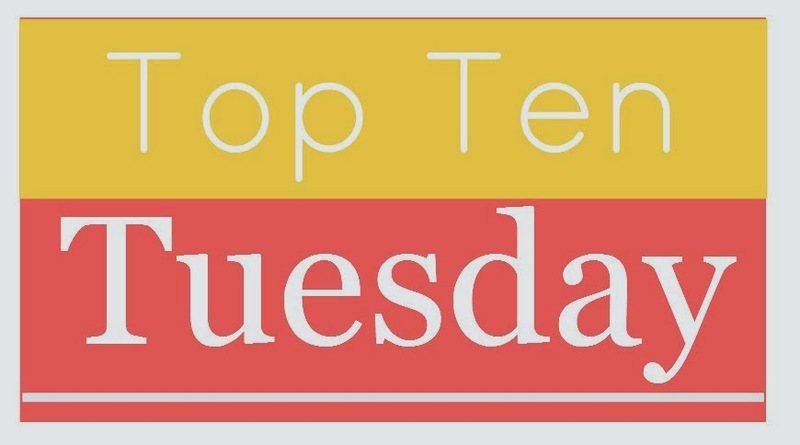 Top Ten Tuesday is hosted by The Broke and the Bookish, and you can find more about this meme here.This week's list is the top ten "gateway" books/authors in my reading journey. I think this is sort of a given for lists like this for most people. My love for this series started when I was only five years old, when the first movie came out. I wasn't allowed to watch it or read the books until I was a little older. My older brother was never a big reader, but my mum used to read Harry Potter to him every night and I used to stand in the doorway of my bedroom and listen to her read it. I can remember the day the books were handed down to me, after my brother lost interest in them (at the fifth book). I can remember making space for them in my shelves and carrying them into my room, then devouring the ones the brother had refused to let me read. This was probably the first series I ever read, even before Harry Potter. I don't remember exactly how I came to read this books, but I remember reading the first four books in a matter of days and then having to wait until the fifth book came out. Every time a new book was released, I would force my mum to drive me down to the bookshop so I could pick the next book up and read it within the night. I definitely consider this to be the series that really got me into reading and I think I'll love them forever. After the end of the Series of Unfortunate Events in 2006 and Harry Potter in 2007, I sort of lost interest in reading. I picked up a few books here and there, but I just couldn't find one that I loved as much as those two. Then in 2008, my friends and I discovered Vampire Academy. We'd been through the Twilight stage, which lasted approximately a year for us, but now we'd moved on. I wasn't really that interested in Vampire Academy for the first few months in which my friends read it, but then on one weekend while my family and I were up in the mountains (no internet, no phone reception...13 year old Ely hated it) I picked up the first book. I read all first three books in that weekend and my obsession only grew from there. By the end of the Vampire Academy series, I was back in a reading rut. A collection of horrible school books did not help the situation at all. I read a few books but again nothing too my fancy. Then I discovered Goodreads in 2012, and my life was forever changed. One of the first books I discovered on there was City of Bones which I promptly went out and bought a box set of the first three books for. It was summer break and I was off on this week long camp (possibly the worst week ever), but rather than you know...socialise, I sat in a stinking hot tent and read these three books. Then I came home and ordered the fourth one as quickly as possible. Unfortunately, my love for this series has slightly diminished over the years (mainly because of the unnecessary sequels). Around April 2012, I discovered my love for Agatha Christie when I picked up my first mystery novel ever- And Then There Were None. If you know me at all, you'll know that I now considered Agatha Christie one of my favourite authors and mystery as one of my favourite genres. It was literally all because of this little four dollar book I bought from one recommendation. I honestly don't know where I'd be without Agatha now! 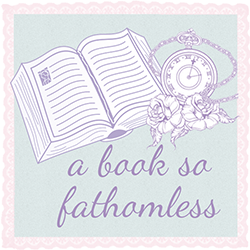 This is another author/series who has absolutely dominated our blog. Eva was the first (and one of the very few) authors who has ever been kind enough to send us their books, all the way to Australia. Even more than that, she's honestly the sweetest person! But that's not what this is about, I included The Gatekeeper's Saga on this list because it is the series that got me into mythology. That's right, the only reason I ever read Percy Jackson was because I read this first and I needed some more mythology in my life. You can actually get the first book free, so you should definitely check it out! I'm one of those people who loves books about World War Two and the Holocaust way more than I really should. This book right here is the sole reason for that. I knew hardly anything about Anne Frank before I read this, but by the end I was sobbing so badly because of her. I can't really describe how much this book broke my heart (we're talking like TFiOS level here, guys) but I loved it. Interestingly, my review for this was the first review I ever posted here! As a child, I was never really into romance/contemporary books- I read a lot of Sleepover Club and Saddle Club books but they aren't romance-y. This Lullaby was my first 'romance' book as well as my first Sarah Dessen book. I loved it, and so I read two other books by her that same month. I believe Just Listen is my favourite so far. But it was because of these books that I read John Green, Maureen Johnson, Stephanie Perkins and many others! I'll be the first to admit that I absolutely hated Gatsby when I read it for the first time back in 2012. In fact, for a while there I would have said it was my least favourite book ever. You see, it was the first classic I ever read. I know a lot of people got to read classics in school like To Kill a Mockingbird and Pride and Prejudice (like Chami) but my school never did this. Looking back at it now, it wasn't a good choice for my first classic because I just didn't understand the amazingness of it, but now I've had some more experience and I'm actually re-reading it for the first time this month. I know I'm going to love it this time...thanks to the movie adaptation. This is another all-time favourite of mine. I actually read this one for school in 2012 (but quite a few months after Gatsby) and I adored it. I love dystopia, though at this time the only experience I had with them was Divergent and Animal Farm/1984 (these two we also studied in class as a comparison between them and BNW). I don't know why I fell in love with this book so quickly, but I loved the world and Huxley's writing. I think this is definitely the book that got me into dystopian literature. If you participate in this weeks list, feel free to leave your link in the comments and I'll go check it out! And if you didn't, then what are some your 'gateway' books and authors? Don't worry, I'm still totally obsessed with them. No, I haven't- I've got the first one but I haven't got to it yet, I'll have to :) I own all of them but one (someone never gave me it back), I love how they look! Brave New World is just amazing. I can't even describe how much I love it. Series of Unfortunate Events were such great books to read! I actually read TMI before the Hunger Games, which I suppose is probably quite unusual. Oh, they really are amazing. But I totally agree, I wish I could stop time for a while so that I can get through at least some of my books! Oh I love your list! Some things for me to try! I've just got into VA and I'm so impatient to read the books. I wish the library would get them in quicker. Thank you so much! They're so addictive, aren't they? I've been meaning to pick up an Agatha Christie book. Any recommendations for my first trip into this author's books? Great list. I'd definitely say And Then There Were None. That's what I started with and it was a really great first one for me. Good luck! Yay Harry Potter! I've also only read maybe 3 books in the Unfortunate Events series?? Maybe I'll pick it up later in my life. And I had no idea that there were that many books in the Mortal Instruments series! Oooh, you definitely need to. They are so gooood! And yeah, there was only supposed to be three but they extended it? I don't know why, to be honest.